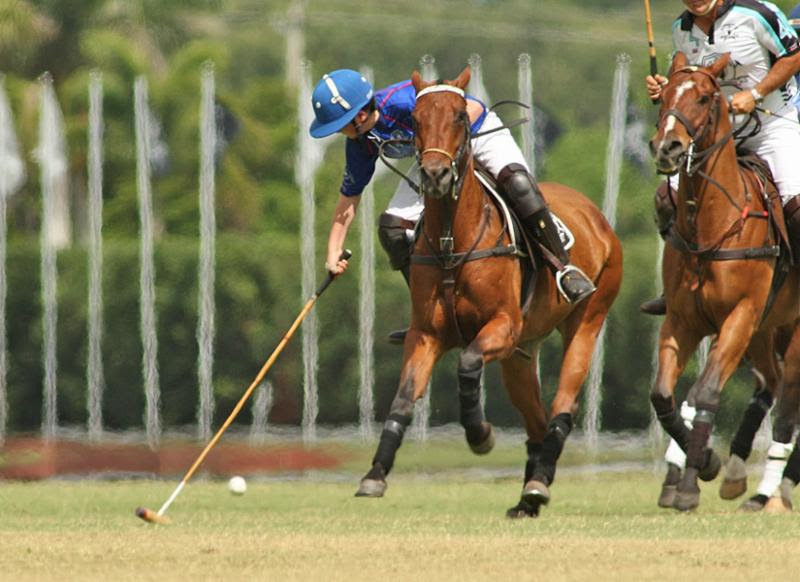 Wellington, Fl.– The much-anticipated 2017 winter season opens this week at Grand Champions Polo Club with a record number of teams, players and leagues. Grand Champions Polo Club and Santa Rita Polo Farm have put the finishing touches on the turnkey club’s eleven fields in anticipation of its biggest and best winter polo season. The nation’s largest, busiest and most innovative USPA-sanctioned polo club nestled in the heart of the world’s winter polo capital kicks off its season on Wednesday with its inaugural weekly Women’s League. Twenty teams will compete in this month’s 6-goal Metropolitan Cup, 8-goal Aspen Valley Cup and 12-goal The Limited Edition 12-Goal Series tournaments. There is a large international field of players from all corners of the world converging on Grand Champions including India, Mexico, New Zealand, Costa Rica, Argentina, Canada, Ecuador, Uruguay and England. Eight teams, featuring some of the sport’s top players, will compete in the medium goal Limited Edition 12-Goal Series tournament that beginsWednesday, Jan. 11 with Dutta Corp playing Flexjet at 3 p.m.
Audi: Marc Ganzi, Pablo Pulido, Jesse Bray, Stewart Armstrong. Beverly Polo: Bill Ballhaus, Hilario Figueras, Ramiro Cordero, Inaki Laprida. Dutta Corp: Tim Dutta, Timmy Dutta, Piki Diaz Alberdi, Carlitos Gracida. Flexjet: Melissa Ganzi, Matt Coppola, Juan Bollini, Tony Calle. GSA: Henry Porter, Santino Magrini, Torito Ruiz, Juan Zubia. Palm Beach Equine: Nico Escobar, Gringo Colombres, Luis Escobar, Scott Swerdlin. Park Place: Andrey Borodin, Agustin Arellano, Juan Jose Britos, Federico Gonzalez Bergez. Patagones: Gonzalo Avendano, Benjamin Avendano, Santi Wulff, Tavi Usandizaga. The eight-goal Aspen Valley Cup begins Sunday at10 a.m. with Hawk Hill playing Patagones. Dutta Corp: Tim Dutta, Timmy Dutta, Piki Diaz Alberdi, Nico Diaz Alberdi. Grand Champions: Santos Bollini, Jesse Bray, Stewart Armstrong, TBA. Hawk Hill: Phillip MacTaggart, Bauti Crotto, Gringo Colombres, TBA. Odosan: Joe Chai, TBA, Nick Manifold, Juanse Olivera. Patagones: Gonzalo Avendano, Santi Wulff, Joaquin Avendano, Santiago Avendano. Seacap: Mike Davis, Kris Kampsen, Henry Porter, Santino Magrini. Six teams, featuring several young up-and- coming players playing with veteran players, will compete in the Metropolitan 6-Goal Cup that begins on Friday with Designer Hair By Nikki playing Hawk Hill at 3 p.m.
Banks Mill Feed: Agustin Arellano, Lucas Arellano, Hope Arellano, Gillian Johnston. Designer Hair By Nikki: Amy Hudson, Clarissa Echezarreta, Pablo Barcna, Inaki Echezarreta. Grand Champions: Will Jacobs, Gant Ganzi, Juan Bollini, Santos Bollini. Hawk Hill: Phillip MacTaggart, Gringo Colombres, TBA, Juanse Olivera. Pony Express: Landen Daniels, Justin Daniels, Benji Daniels, Marc Ganzi. Willow Farm: Mike Egan, Ted Brinkman, Andres Weisz, Brendan Stenzel. Jesse Bray. Photo by ChukkerTV. Highlights of the 2017 season are the Feb. 22-March 11 Sterling Cup, March 1-11 $50,000 National 12-Goal Tournament, March 15-April 1 National 20-Goal and April 1-15 $100,000 World Cup Tournament, a unique winner-take-all single-elimination tournament. Thanks to the generosity of Palm Beach Polo owner Glenn Straub, the Sterling Cup and World Cup have been resurrected by the Ganzis in hopes of recapturing the legacy and prestige of polo’s hey days. 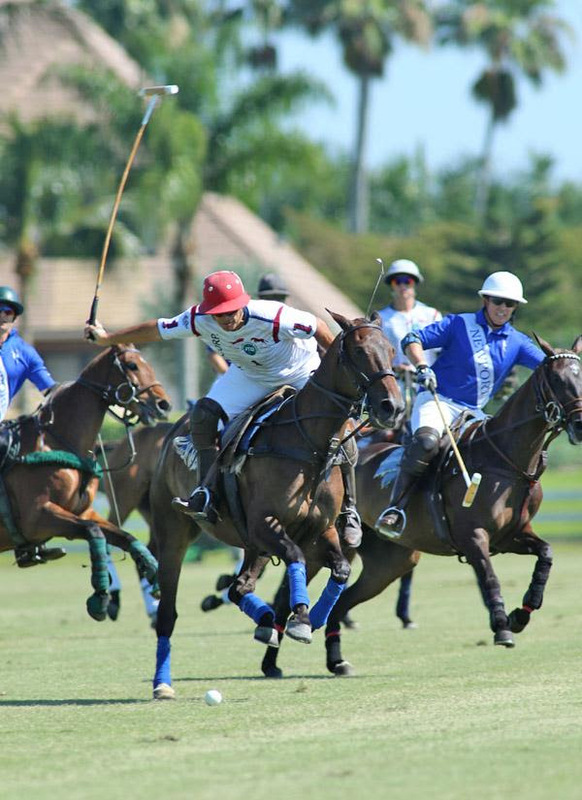 The Sterling Cup, 16-20 goals, was the second tournament of the 22-goal season at the Palm Beach Polo and Country Club and attracted as many as sixteen teams. The World Cup also returns with a unique format where teams of any handicap from 0 to 40 can compete for the prize purse. Grand Champions owners Marc and Melissa Ganzi purchased Lyndon Lea’s 102.8-acre Zacara compound during the summer and re-named it Santa Rita Polo Farm after her grandmother, who passed away on Dec. 29, 2012. It is the largest and most unique polo facility in Wellington with 120 stalls in five self-contained barns, exercise track, five climate-controlled tack rooms, vet room, staff quarters, guest house and three polo fields with state-of-the-art underground irrigation including one field for stick-and-ball with plans to build more polo fields in the future. Grand Champions is coming off its finest fall season in the club’s ten-year history. It was the only club in the nation to stage two USPA-sanctioned 20-goal fall tournaments in addition to the International Cup and Carlos Gracida Legends of Polo Memorial. The club also hosted eight successful medium goal tournaments. 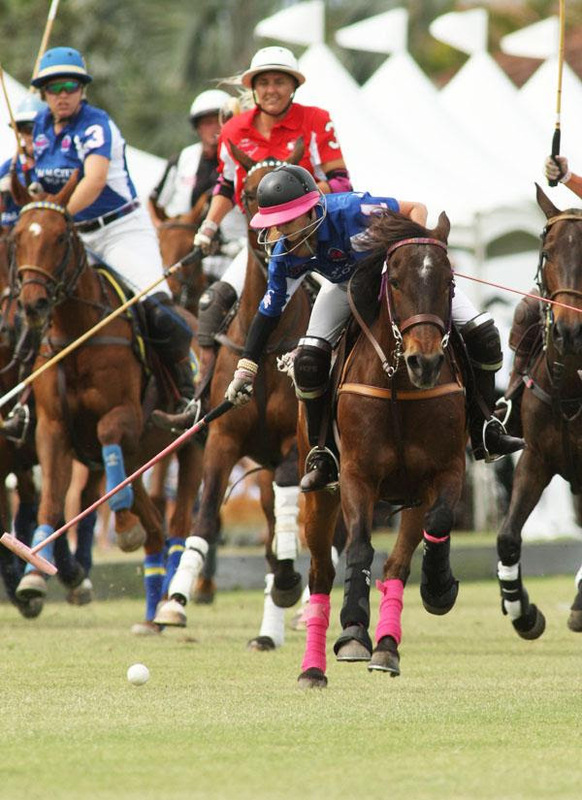 Grand Champions caters to men, women and youth polo players at all levels. Its expert staff can customize a complete playing experience including horses, pros and certified umpires in addition to lessons and practice sessions as part of its’ Polo On Demand program, the only polo club in the U.S. to offer the unique program. “This is great for polo,” Olivera said. 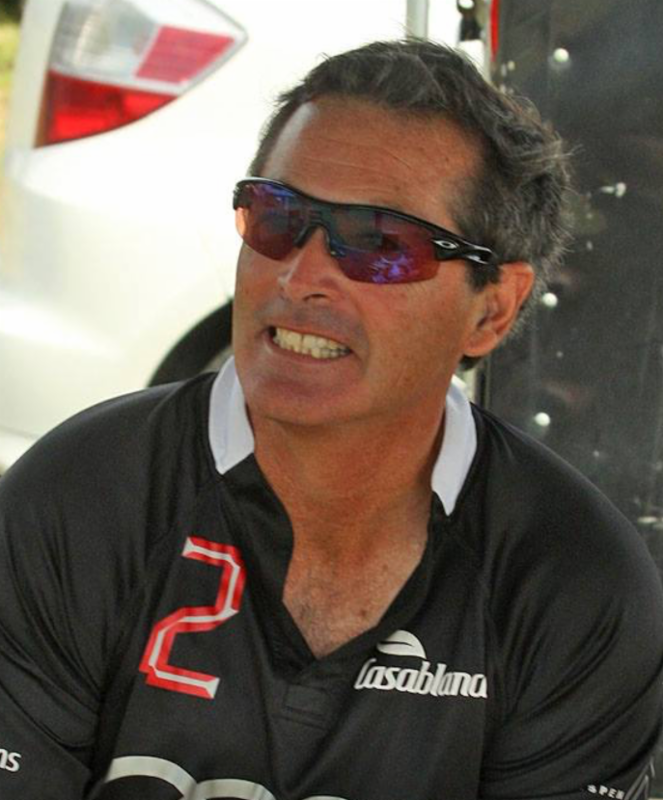 “Marc and Melissa have put in a lot of effort to promote polo and create more tournaments. Women’s Wednesday League at Pony Express Field 2: Jan. 4,10 & 11 a.m.; Jan. 11, 10 & 11 a.m.; Jan. 18, 10 & 11 a.m.
Metropolitan Cup (6 goal): Friday, 3 p.m., Designer Hair By Nikki vs. Hawk Hill, 3 p.m.; Saturday, 10 a.m., Grand Champions Polo Club vs. Pony Express at Santa Rita; Jan. 11,Wednesday, Banks Mills vs. Willow Farm, 12:30 p.m.; Jan. 13,Friday, Banks Mills vs. Hawk Hill, 3:30 p.m.; Jan. 14,Saturday, Grand Champions vs. Designer Hair By Nikki, 11 a.m.; Jan. 15, Sunday, Pony Express vs. Willow Farm, noon;Jan. 20, Friday, Hawk Hill vs. Pony Express, 3:30 p.m.; Jan. 21, Saturday, Bank Mills vs. Grand Champions Polo Club, 10 a.m.; Jan. 22, Sunday, Designer Hair By Nikki vs. Willow Farm, noon; Jan. 28, Saturday, Championship Final and Handicap Final. Aspen Valley Cup (8 goal): Sunday, 10 a.m., Hawk Hill vs. Patagones; Jan. 13, Friday, Seacap vs. Dutta Corp, 1 p.m.; Jan. 15, Sunday, Hawk Hill vs. Dutta Corp, 10 a.m. and Odosan vs. Patagones, noon; Jan. 17, Tuesday, Seacap vs. Grand Champions Polo Club, 3 p.m.; Odosan vs. Grand Champions Polo Club, 3:30 p.m.; Jan. 21, Saturday, Patagones vs. Seacap,11 a.m.; Jan. 22, Sunday, Hawk Hill vs. Grand Champions Polo Club, 10 a.m.; Jan. 24, Tuesday, Dutta Corp vs. Odosan, 3:30 p.m.; Jan. 29, Sunday, Final 10 a.m., Handicap Final, noon. 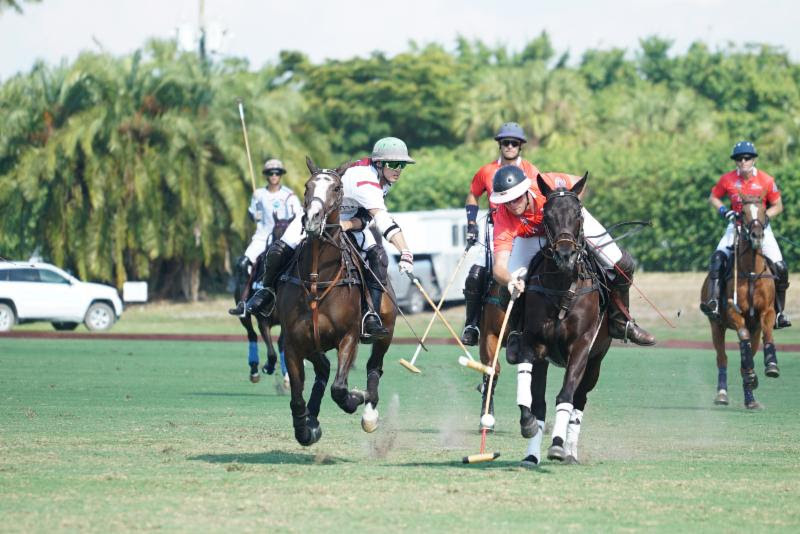 The Limited Edition 12-Goal Series: Jan. 11, Wednesday, Dutta Corp vs. Flexjet, 3 p.m.; Jan. 12, Thursday, Palm Beach Equine vs. Patagones, 3 p.m.; Jan. 14, Saturday, Beverly Equestrian vs. Flexjet, 3 p.m.; Jan. 15, Sunday, GSA vs. Park Place, 10 a.m.;Jan. 18, Wednesday, Patagones vs. Park Place, 3 p.m.; Jan. 20,Friday, Audi vs. Beverly Equestrian, 3 p.m.; Jan. 21, Saturday, Palm Beach Equine vs. GSA, 3 p.m.; Jan. 22, Sunday, Audi vs. Flexjet, 10 a.m.; Jan. 22, Sunday, Dutta Corp vs. Beverly Equestrian, noon; Jan. 24, Tuesday, Palm Beach Equine vs. Park Place, 1 p.m. and GSA vs. Patagones, 3 p.m.; Jan. 26, Thursday, Audi vs. Dutta Corp, 3 p.m.; Jan. 28, Saturday, Handicap Final, 1 p.m. and Final, 3 p.m.
FEBRUARY: 1-26, Halo Polo Trophy (6 goal) and Top Pony 8 Goal Series; 1-25, USPA Sieber Memorial Trophy. MARCH: 1-26, Madelon Bourdieu Memorial (6 goal) and The Limited Edition 8-Goal Series; 1-25, The Top Pony 12-Goal Series. APRIL 1-25: Las Acacias (4-8 Goals).